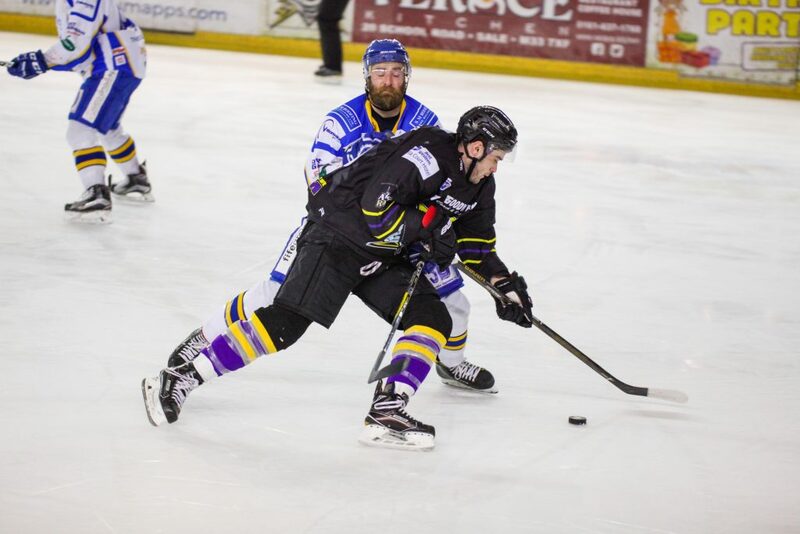 Your Go Goodwins Manchester Storm skated away from the Storm Shelter this evening with a convincing 7-3 win over the Fife Flyers. The scoring started early in the 1st, when Patrik Valcak was able to slot past Shane Owen following a wonderful pass from Dallas Ehrhardt to give the Storm the early lead. Storm continued to build the pressure, causing the Flyers to commit numerous defensive errors, before Mario Trabucco grabbed the Storms 2nd of the night with 5:19 to go in the period, this time assisted by Valcak. 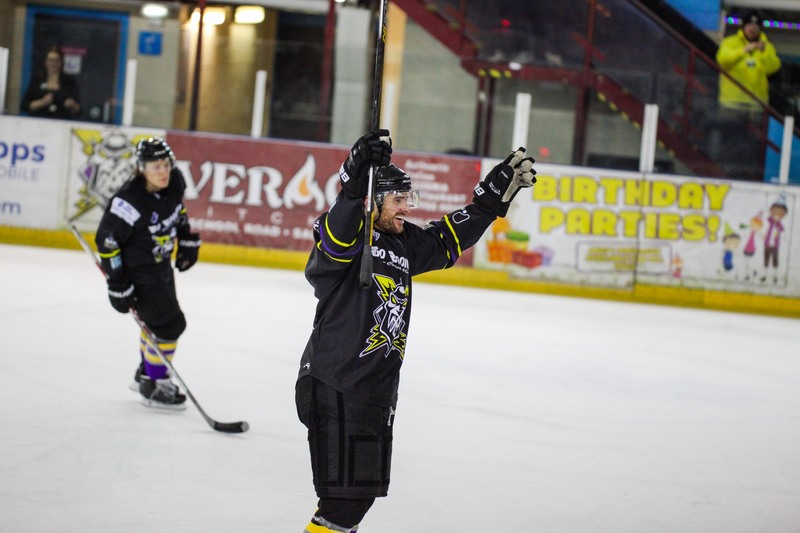 The period closed with a huge round of applause as the Storm Shelter recognised the teams wonderful effort. Despite an early push by the Flyers, the Storm were able to continue to dominate puck possession, and control the play in the 2nd. 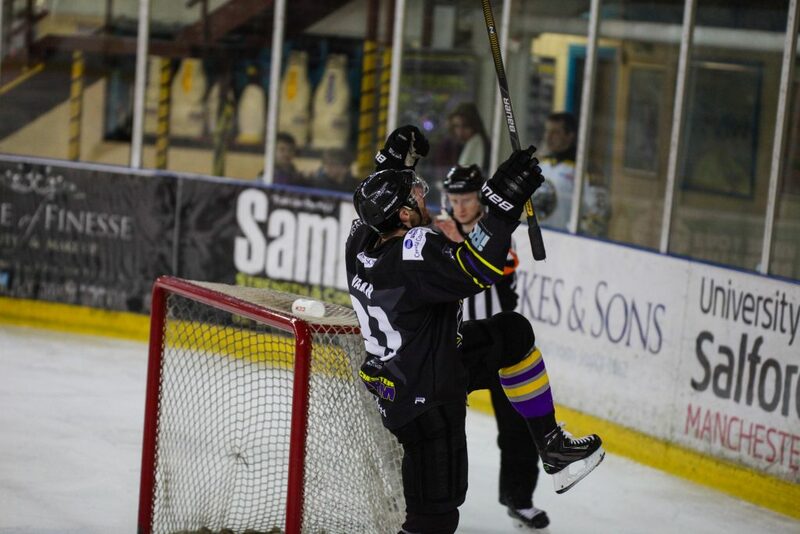 Mark Heatley was able to grab the Storms 3rd of the night, again assisted by Valcak, with 12:40 to go in the period, followed 3:50 minutes later by Darian Dziurzynski grabbing his first of the evening! 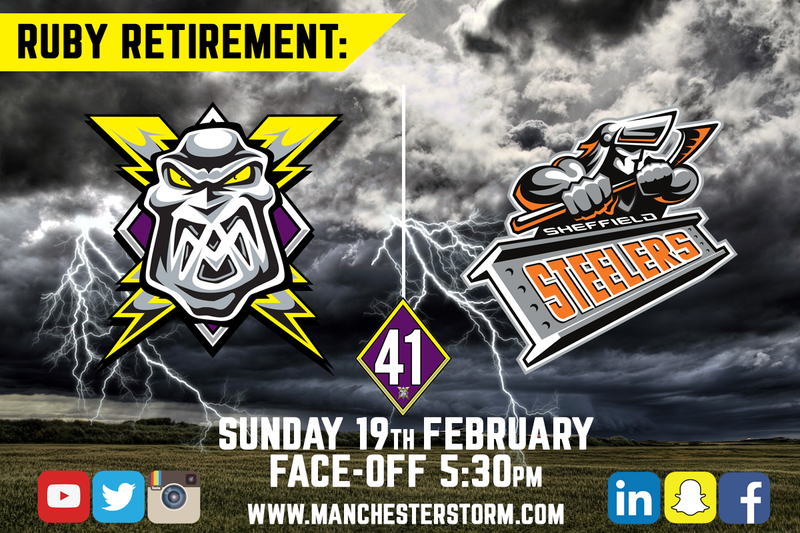 With the clock ticking down in the period, the Storm were pushing hard for a 4th… and it came, on the breakaway, by Dziurzynski again with 54 seconds to go in the 2nd! The Flyers came out of the locker-room for the 3rd period with the afterburners on, as they grabbed their opening goal with 16:27 left to play thanks to a Ryan Dingle shot. The play flowed back and forth following the Flyers goal, with both teams going close to adding to their tally. 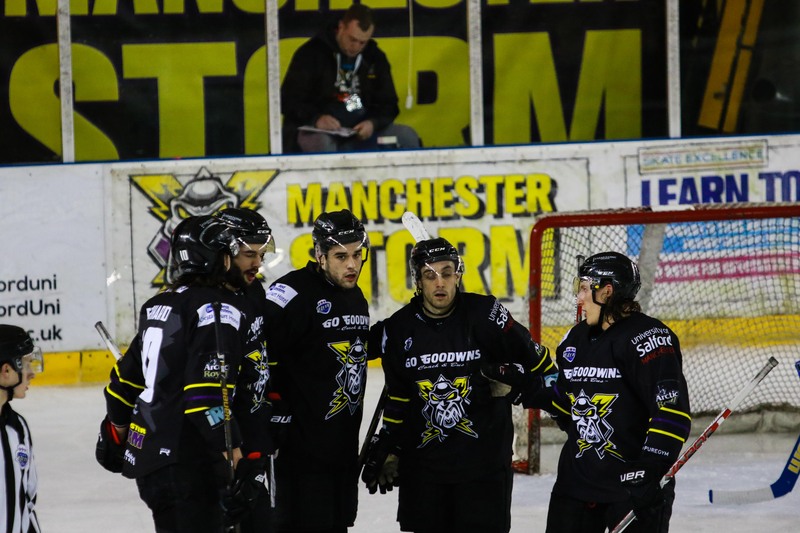 A 2nd Flyers goal was waved off with 13 minutes to go in the period, due to Clemente’s net being off its moorings, before Storm’s Adam Harding and Thomas Muir dropped the gloves with 11:54 to go in the period. Storm’s Taylor Dickin then grabbed the teams 6th of the night, and our 300th Elite League goal, when Omar Pacha passed the puck over to give the Storm #18 a clear chance on goal, which he duly scored. 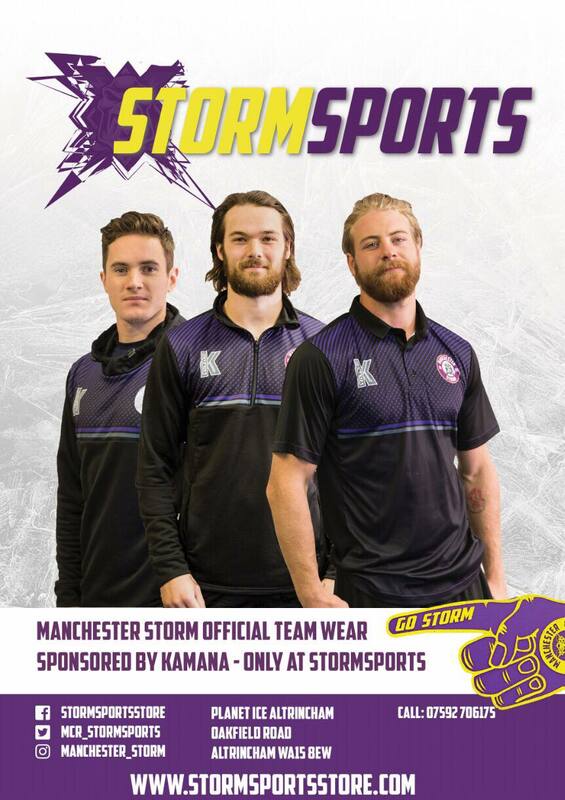 Harding was next on the board for Storm, when he assisted a Dickin pass, to give the Storm their 7th of the night with 4:02 to go in the period. The Flyers were able to pull two back late in the 3rd, with Paquet and Sisca grabbing one each at 1:17 and 37s to go respectively, but the night was a compelling win for the Storm! Storm now look ahead to tomorrow night’s away game at the Dundee Ice Arena against the struggling Stars, before next weekend’s HUGE games against the Sheffield Steelers, when a certain Brad Rubachuk returns to the Storm Shelter on Sunday 19th February, to see his #41 raised to the rafters once again. Neil Russell Interviewed by The Forecast!